Alan “Moondog” Freed — the Johnny Appleseed of rock ‘n’ roll. Just as old Johnny didn’t invent apples, Freed didn’t invent rock ‘n’ roll. But he was the first to use that nomenclature when referring to the hybrid of R&B, country, jump blues, and swing emerging out of the early 50s. Along with a few other like-minded individuals, he helped build the movement from the ground up, platter by platter. As a DJ in Ohio, Freed proselytized fervently about this energetic and youthful new sound. His own radio show personality reflected this, and he provided an exciting alternative to the usually staid DJs playing traditional pop and jazz. Of course, the kids loved him. He talked in a hip lingo and played pounding, rhythmic music their parents couldn’t possibly understand and, in fact, actively hated. What’s not to love? 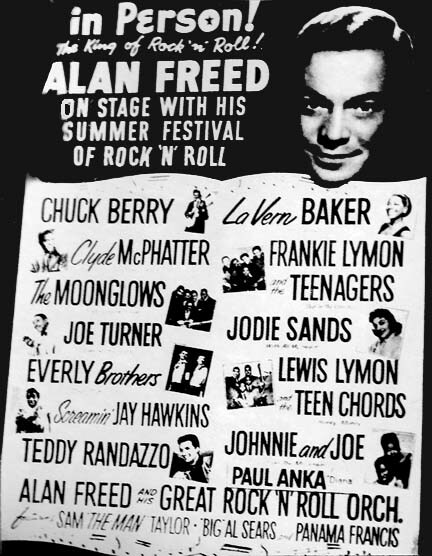 Freed also became known for his concert extravaganzas, presenting a dozen or so acts from the rock ‘n’ roll universe in spectacular stage shows (this includes the “Moondog Coronation Ball” of 1952, the first ever rock ‘n’ roll concert). Teens were able to see all their favorite hitmakers, along with a few they probably didn’t know. The setup was ideal for everybody: the kids, the artists, the record companies, and Freed. Unfortunately, when you’re standing on top of the world, others want to bury you in it. In the late 50s, the US government began investigating ‘payola’ in the music business, a system whereby record labels paid DJs to play and promote certain singles. Despite the widespread practice (which continued for decades afterwards), only Freed’s career and reputation ended up in ruins. Sadly, Freed died in 1965, an alcoholic who spent his last years trying to find and keep a job in radio. Had he managed to hold on for a little longer, he might have found redemption in the rock ‘n’ roll revival of the early to mid 70s, as kids who grew up with Freed became adults and rediscovered the music they first loved. Movies and TV shows like American Graffiti and Happy Days proved warmly nostalgic, and acts like Chuck Berry and Little Richard once again found an audience. Freed might have found one, too. Everyone expected rock ‘n’ roll to be a fad, a childish, simplistic diversion for silly teenagers. 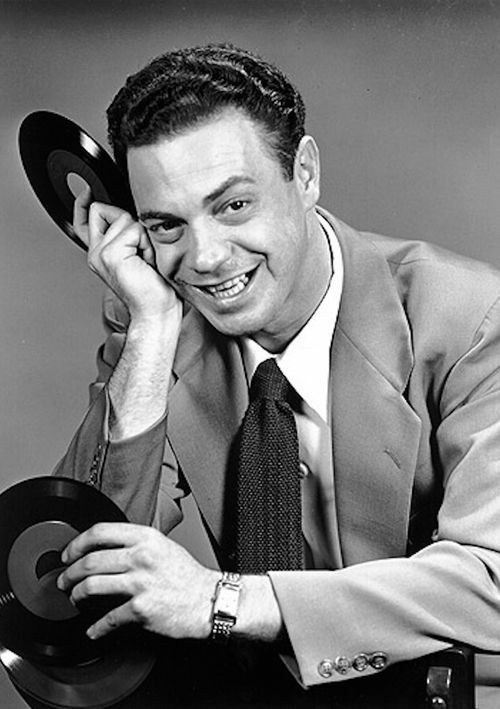 But Alan Freed gave it a strong foundation (which is one reason why you’ll find the Rock & Roll Hall Of Fame in Cleveland), and it would have brought him great joy to know that Danny And The Juniors got it right when they sang “Rock & Roll Is Here To Stay.” Spin one for the Moondog.